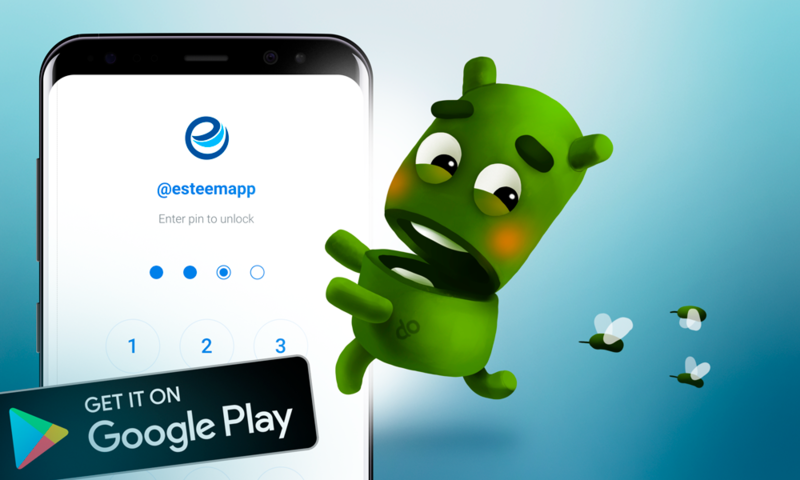 Just few days ago we had announced our first public build of eSteem Mobile 2 for Android devices. New mobile client for Steem blockchain with reworked user interface. And today we are updating you with many fixes. If you have it installed already just open your Google Play store and search for update otherwise you can click or tap on the badge below. This version is separate from eSteem 1.6.0 you might used before. It will not update on it's own. Please download new application from Google Play. We are still looking for beta testers, please report bugs here in comments or at GitHub. Tests will be rewarded, share your posts with us! Thanks for detailed information. I will update it soon. $0.78 self-upvote for these two sentences? I am able to add new words in old post but unable to remove old words from old post. Are you sure you are using latest 2.0.6 update? Because it should be fixed. Yes I am checking in 2.0.6. Could you share screenshot or screencast, please? Also please don't forget to mention Android version and device type, thanks! I will share video for whole process either in discord channel or by a post after some time. Just got up now. Edit of post function is working if post has been created by esteem v2 2.0.6 (latest release). I checked it on my new post which was created by me yesterday. Yesterday i updated esteem v2 and tried to edit my old post using v2 2.0.6 which was created using esteem v2 first release but I can only add some new word on that and couldn't remove any words which was looking weird. About 88.92$ has been spent to promote this content. It is looking better and better! Thank you! I'm happy to see drafts, bookmarks and favorites and I am assuming that any other features will get added as you have them ready! This update makes v2 much more usable for me! I am predicting that I am going to love it! One thing that I haven't yet figured out.... On my profile. The list of replies does not allow me to see if I have already responded to a comment or what the original post or conversation is that I'm replying to. Good point, I will add this to our next update. We could show comment count or have indicator that you have already read/replied. Really useful feedback, please keep them coming! When I am in my *profile,then *replies, not being able to click on the reply to go back to the original thread or previous comment keeps me going back to v1. I love the idea of a comment counter! It could provide a personal incentive to be more engaged than you were the day before before! This post has received a 26.45 % upvote from @boomerang. Just trying, thanks for info. I tried eSteem Mobile 2.0.6, @good-karma. My impressions are here: I tested eSteem Mobile 2.0.6. I find that the profile page I have on my phone does not resemble with that is in this post, does that mean I have an older version? Thanks, @good-karma, I’ll test it on my latest Samsung. Please do, let me know if you find any issues or have suggestions. You can post them into our github as well. @steemium purchased a 40.61% vote from @promobot on this post. I really like the new version. Excellent job. I just installed this app and uninstall previous version of this App. I think it will be better! Great, we will eventually deprecate legacy version! You got a 61.64% upvote from @dailyupvotes courtesy of @steemium! Super cool, thanks for the update. After sharing the bug reports on github, how can I be rewarded? Oh okay thanks @good-karma. I already reported two bugs on Github and Utopian. Already scored and upvoted. I posted literally half an hour before this saying how the speed wasnt optimal,... Just downloaded the update here, and it seems much faster. Good work!! Great job! I will have to try this version soon! However when you click on the actual post there's a lag for about 3-4 seconds which is a very long time for a mobile app. That would be really cool if you can speed this up to 1 second, maybe even milliseconds. It's is a huge deal when you're dealing with UX. I know that can be challenging cause I used to write apps as well but it is a critical element for customers' satisfaction. Yeah. Opening the post has some time delay. Hi. What is a Leaderboard? Leaderboard of top users on eSteem! Your UA account score is currently 8.512 which ranks you at #2 across all Steem accounts. In our last Algorithmic Curation Round, consisting of 430 contributions, your post is ranked at #1. Congratulations! Thank you so much @good-karma and for your entire team. I will be downloading it today... Thank you for your hard work. is it available in iphone? Thats awesome I just joined!! I'm about to download now!! The new version eSteem Mobile 2.0.6 is good. Keep up greetings. But I am a bit different. Like it is nice to use apps that are early and it's also easier to see posts and posts of other friends. Does the initial version of the app no ​​longer work? Thanks for showing interest, we are eager to release our iOS version which is much more faster and beautiful. Stay tuned! But but maybe still will find some bugs. because the application has not been officially released. 🅷🅴🅻🅿🅵🅾🆁🅷🅴🅻🅿 is a promising project to help the distressed people.You may like to know about this preoject. If you need a beta tester for the Iphone, let me know. Great to see esteem improving time after time. Thanks for this amazing information. This is cool. I will update mine also! Please consider releasing on F-Droid! Super! Thanks for detailed information. Yes iOS release is on the way. Stay tuned! I just updated new version for my iPad. Tried a draft with the markdown code ##. It wasn’t working before and it does now to make bigger text when needed. I will check more when I finish my post. I don’t know if imp. But emojis still not working. Thanks @good-karma for all you do. Kind regards to you and your team. Thanks @good-karma. Haha, I uploaded something for eSteem the other day on Google Play..must have been version from awhile back. In v2 is there a way to search by tags like there was in v1? I will do the update, looks awesome! Leaderboards motivate others to do even better, lets do it people! Upvoted and resteemed! Thanks good-karma for the new update steemapp. this app does not work, it stops constantly and does not let me make any post. I've tried several posts using this version, eSteem Mobile 2.0.6. It's nice improvement because faster than the earlier version. Good job @good-karma and teams. I have a question after using this version. 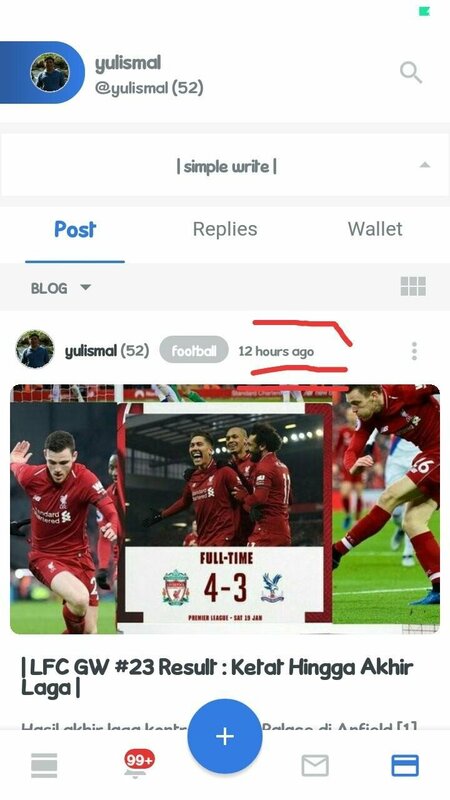 I've confused when I'm publish a new post, It's always say that I posted it in "7 hour ago". Here's the screenshot. I published this post about 5 hour ago. Thanks @yulismal! We have found a bug, update is coming soon to fix this issue. You got a 42.25% upvote from @joeparys! Thank you for your support of our services. To continue your support, please follow and delegate Steem power to @joeparys for daily steem and steem dollar payouts!